The Kinect a popular RGB-D sensor which provides both video and depth information. BoofCV provides support for the  driver directly through several helper function. The project already provides a Java interface. 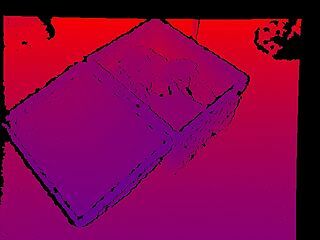 The Kinect is much easier to work with than stereo cameras and provides similar information. The major downside to working with a Kinect sensor is that they can't be use outdoors and have a more limited range. To access helper function for Kinect in BoofCV go to the boofcv/integration/openkinect directory. Several useful examples and utilities are provided in the openkinect/examples directory, while the main source code is in openkinect/src directory. To use these functions, be sure to include the BoofCV_OpenKinect.jar in your project. This can be downloaded precompile or you can compile it yourself using ant. 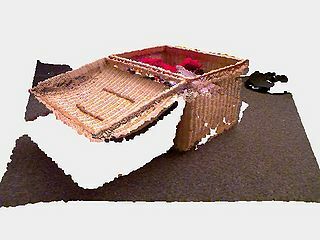 Two classes are provided in the Kinect jar, StreamOpenKinectRgbDepth and UtilOpenKinect. StreamOpenKinectRgbDepth is a high level interface for streaming data from a kinect using OpenKinect. UtilOpenKinect contains functions for manipulating, reading, and saving Kinect data. The depth image is stored as an unsigned 16-bit gray scale image (GrayU16) and the RGB in any standard image format. Many more examples are provided in the openkinect/examples directory. Here is one showing typical usage. // be sure to set OpenKinectExampleParam.PATH_TO_SHARED_LIBRARY to the location of your shared library! This page was last edited on 3 January 2017, at 18:44.